It is usually believed that sports cars do not fuel efficient sports cars. But General Motors is trying to change the trend. The all-new 2014 Corvette Stingray. And that is the most fuel-efficient sports car available in the market. 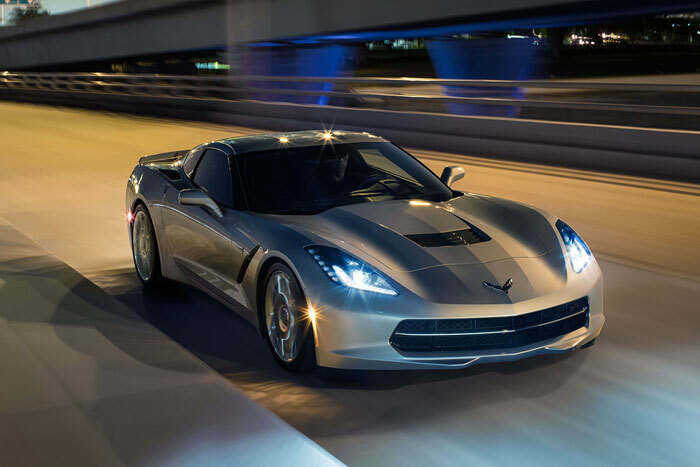 Chevrolet made an announcement that the new 2014 Corvette Stingray delivers around 17 mpg in the city. Moreover, 29 mpg on the highway. However, making it one of the only sports cars that can offer such fuel economy. The auto manufacturer said that none of the other cars that have high-performance engines. That generates 455 horsepower can deliver the same kind of performance. And that was also fuel economical at the same time. Tadge Juechter, Executive Chief Engineer for the new Corvette said that they are really glad that they have been able to achieve this new benchmark. He said that Corvette Stingray uses some of the new auto technologies. Therefore, it offers superior performance. But at the same time keeping up the miles per gallon benchmark. He further stated that they hope they can bring out more such cars in the future for sports car lovers. During the fuel economy testing, it was found that on Tour mode the sports car delivers 28 mpg on the highway. Moreover, it offers 30 mpg on the highway when it’s on Eco mode. Chevrolet revealed that Stingrays have a seven-speed manual transmission. And it has the option to disable four cylinders for improved fuel economy when the engine power is not required. While the six-speed transmission Stingrays offers Active Fuel Management option. That is active in all modes offering better fuel efficiency. Compared the new Corvette with the earlier version. It was found that the new 2014 Corvette Stingray delivers 11% more fuel economy than the previous model. Therefore, providing 6% better performance compared to the earlier model.